The Community Service Building, which houses the Mary Lou Fulton Teachers College Preschool, is seen on Curry Road in Tempe on Saturday, March 18, 2017. The preschool will close this July after decades of operation. 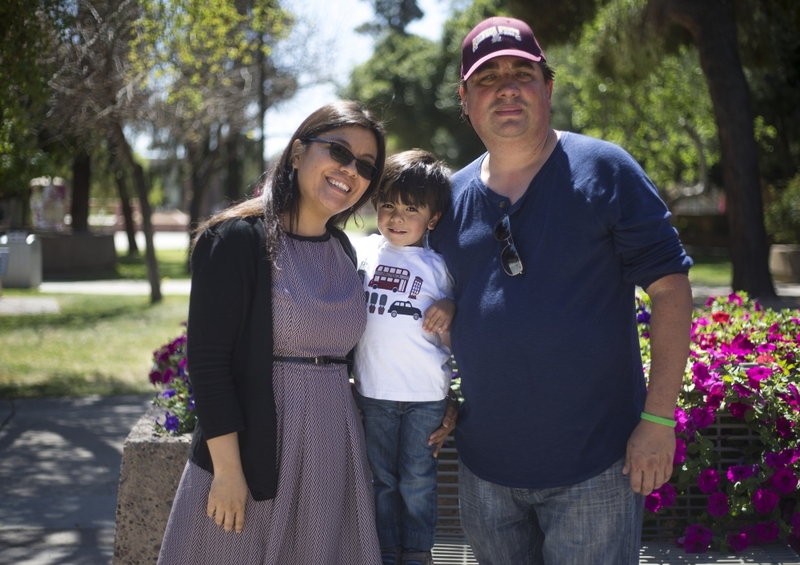 Gwynne Gonzalez, an ASU Spanish instructor, was planning on sending her 3-year-old son Elton to the Mary Lou Fulton Teachers College Preschool for two more years. However the preschool — which serves 45 children and has been operated by the University’s Teachers College for decades — will close this summer, ASU officials announced on Feb. 28. Paul Gediman, the director of marketing and advancement for the Teachers College, said the decision was made because the preschool’s financial model was not sustainable. The University has notified the staff members of impending layoffs, but hasn’t announced where funds from operating the preschool will go next year or what will be done with its wing in the ASU Community Services Building. As for the affected children, ASU has suggested alternative preschools for the parents — who currently pay a monthly fee of $950 for full-time preschool services — but several are uncertain of where their kids will be enrolled next year. The decision also came as a shock to many preschool staff members. The parents’ announcement letter was from Allison Mullady, the preschool’s executive director, and Carole Basile, the dean of the Mary Lou Fulton Teachers College. The University also released a public statement the day the letter was sent. “While we recognize that this will create disruptions for families now being served by the preschool and its talented staff, we will work closely with each of the families to find alternative preschools that meet their needs and make the transition as smooth as possible,” the statement read. Mullady declined an interview request, saying she was told to refer all inquiries to the media relations team. Some parents said they felt blindsided upon receiving the letter. Staff members were notified a couple days after families were — and Bernal said she thought the staff letter was not as informative as the one sent to parents. The University hasn’t yet detailed why or how the preschool’s financial model faltered. Documents obtained by The State Press — which Gediman declined to comment on — show the preschool finished 2016, the last full fiscal year for which data was available, with a $101,206.05 budget deficit. ASU spokesman Bret Hovell said Basile was not available last week for an interview, but provided Gediman as a source instead. Valeska French, the parent of an MLF preschooler, who has been in communication with Basile since the announcement, said Basile told her the Teachers College leadership had been considering closing the preschool for months. Although the University has offered alternative institutions to parents to mend the issue of displacement, several find the suggested resources to be underwhelming. Following the announcement of the closure, the University notified parents that it was working with the Southwest Autism Research and Resource Center — or SARRC — to place some of the students. However, the letter to parents from MLF officials had the organization’s name spelt incorrectly as “SARCC” four times. In an email exchange with parent Tom Ekren, Basile also referred to the center as “SAARC” three days after the letter was sent. Gediman said the Teachers College has worked with many local educational providers in the past, including SARRC, but he said he didn’t know exactly how this arrangement came to be. However, the organization — which serves 80 children in its two Valley locations — won’t be able to take in all of the displaced MLF preschoolers. Gediman confirmed that SARRC won’t have the capacity to take all of the 22 preschoolers who are currently enrolled and would have continued to attend the MLF Preschool next year. Gonzalez echoed the same concerns, adding that she personally didn’t know of any other parents who were planning on relocating to SARRC. Early childhood programs help kids learn, grow from The State Press on Vimeo. While the official letter to parents only listed SARRC as an alternative, some parents have been looking to the University's three other on-campus child-care facilities — the Child Development Lab, the Child Study Lab and the Campus Children’s Center. “Yes, we are working closely with other centers and with every family individually,” Gediman said in an email follow-up. Courtney Romley, a program manager at the Child Development Laboratory, said they’ve received no word on whether displaced children from the MLF Preschool will be allocated to the CDL — nor did she say if she knew whether it was ever considered. “Nothing’s really come of that at this point,” she said. Anne Kupfer, who runs the Child Study Lab, said she was also never contacted by the Teachers College or the University about the closure; she found out about it from these parents looking for other options. She said she has had seven MLF Preschool families contact her since the closure was announced. She expects that next year they will be able to take in at least five of those families, based on current enrollment. The CSL and the CDL each have waiting lists of over a year. The Campus Children’s Center, or CCC, is operated by contractor Bright Horizons and is only open to the children of ASU faculty, staff and students. The CCC has a one-year waiting list for toddlers and a three- to six-month wait for preschool-age children. Director Heather Adkins said Mullady contacted her a few weeks ago to announce the closure and work to place children. "I actually received and email from the executive director a few weeks back who was obviously concerned about placing families, so we’re trying to partner with her to be able to house as many families," Adkins said. Adkins said there were several families that might be interested in transferring, but no contact has been made so far. "I think based on the amount of family members that I was initially told that might need care was about six to 10 families and that would be doable for us," she said. "We have plans to go over there and drop off paperwork to try to help assist people and ease the pain, so to speak so they already have tools to be able to enroll here." Gonzalez, one of the MLF preschool parents, said the University has mentioned that there are other preschools on campus, but due to long waiting lists she said they aren’t a viable option for many of the families who need child-care soon. 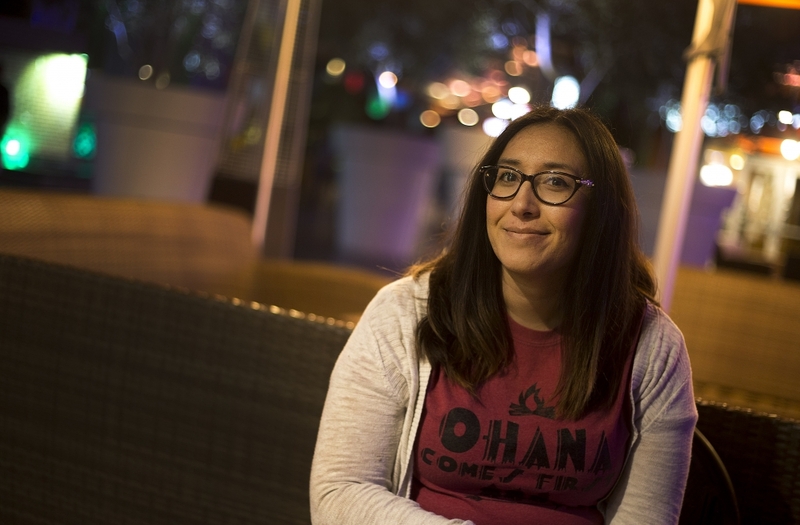 Bernal, the instructional aide, said she is also uncertain of her future at the University; she was offered the opportunity to transfer to another department at ASU but doesn’t know where the other Preschool staff members will end up. There are 11 staff members listed on the preschool’s website. They will all either relocate to other roles at ASU or leave the University for positions elsewhere, Gediman said. Bernal said she believes only hourly staff were offered relocation to other University positions, whereas salaried staff would have to go through a different application process. 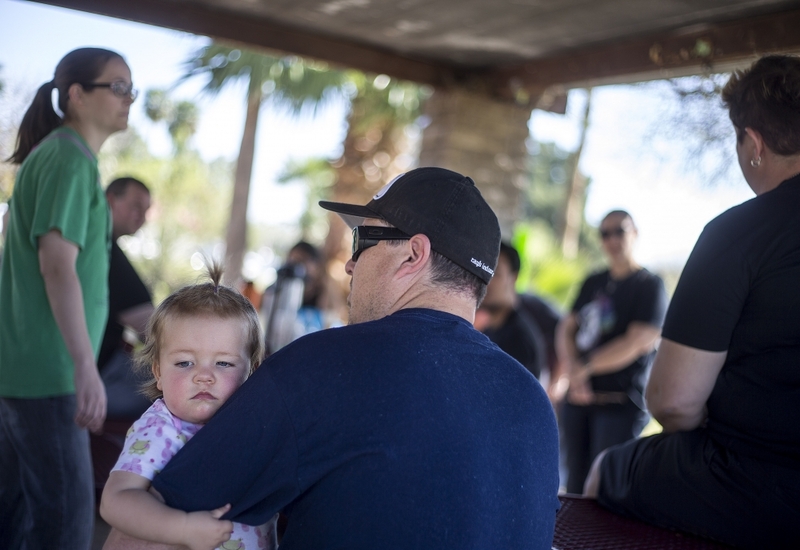 A couple weeks after receiving the news, a small group of parents gathered in Papago Park, a recreational field several miles away from the preschool to strategize. They began by brainstorming ways to let the Teachers College leadership know how much they wanted to keep the preschool open. A phone-calling campaign was formulated. Letters were drafted. The parent group also invited ASU leadership to a community meeting in early April to discuss the closure and options moving forward. “The end goal would be to have them at least consider that fact that there might be other ways to keep the preschool open,” Gonzalez said. Gonzalez’s husband Richard Patino said he’s hoping the meeting will also give Basile an opportunity to clarify the University's reasoning behind the closure. “I think it’s important for her to get her side of the story out, sometimes when you send out an email or a letter, the full sentiment doesn’t come out so it’s important for us to understand the situation a little bit more clearly as well,” he said. Gediman confirmed that they’re working with the parents to set up a meeting with Basile and Senior Vice President of Educational Outreach and Student Services James Rund. The parents are hopeful that the meeting will result in enough turnout to deliver a strong message. Reach the reporter at angelmendoza@cox.net or follow @niceledes on Twitter. 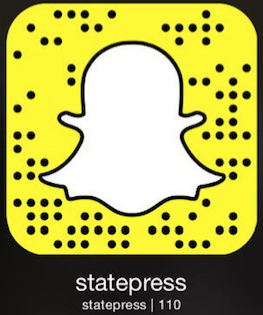 Reach the reporter at reillykneedler@gmail.com or follow @reillykneedler on Twitter.